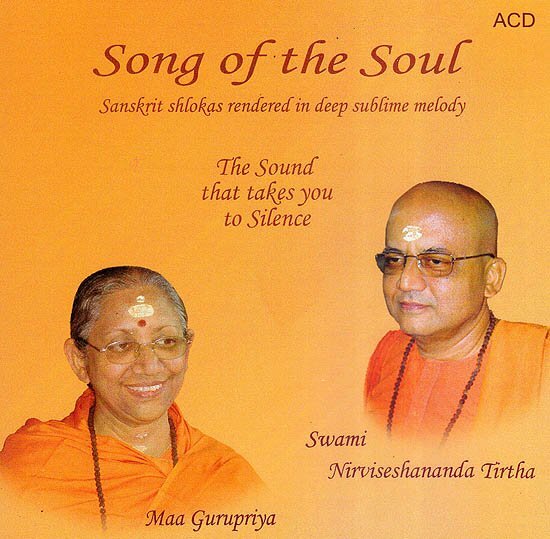 These Sublime shlokas have been chanted by Ma Gurupriya and Swami Nirviseshananda Tirtha disciples of the renowned Saint Poojya Swami Bhoonananda Tirthaji. Ma Gurupriya’s spiritual journey began during her post graduate scientific research in Delhi University. In 1987 she renounced her professional life as a lecture in physics and dedicated her life at the feet of Poojya Swamiji. Swami Nirviseshananda Tirtha evinced a strong inclination for the spiritual path from a very young age and while in college received deeksha from Baba Gangadhara Paramahamsa (Poojya Swamiji’s Gurudev) in 1987 he renounced his professional life as a scientist and assistant professor at I.I.T Kharagpur and dedicated himself wholesomely to the service of Poojya Swamiji and his lokasangraha (welfare of society) mission.